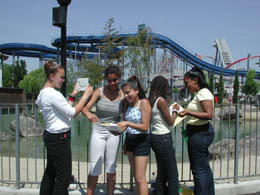 Santa Clara is Northern California’s premier student group tour location. It’s easy to see why students love visiting the Santa Clara area. With an exciting theme park, technological wonders, and a year-round beautiful climate (over 300 days of sunshine annually), the city is Northern California’s best place to stay, play, and learn. In addition, Time Magazine recently named the City of Santa Clara the 10th Safest City in the U.S. with population of at least 100,000. Admission: Adults: $17.50; Students, Seniors, Active Military: $13.50; Children 10 and younger free. 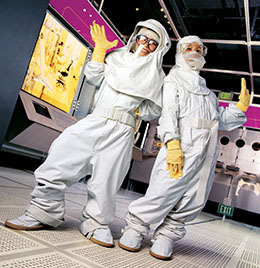 The Intel Museum introduces students to the world of micro-miniature computer chips, where millions of electronic components are packed onto quarter-inch squares of silicon, and time is measured in billionths of seconds. 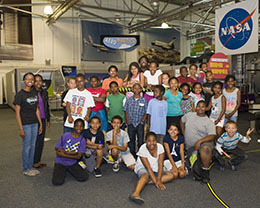 Interactive exhibits and hands-on labs let students explore concepts and conduct their own experiments. 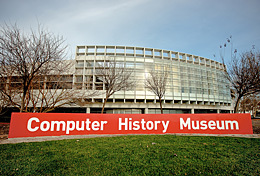 Thousands of students visit the museum each year. A group visit usually lasts two hours and includes a guided tour and an interactive lab led by a knowledgeable museum instructor. To support the visit, the museum provides packets that include a course description, age-specific vocabulary, and suggestions for classroom activities that students can do before and after the visit. For larger groups of 35 or more students, the museum provides self-guided tours and activity books. The books guide students through exhibits and provide many fun and interesting exercises. For example, students can decipher a secret message written in binary code, or go on a high-tech scavenger hunt for interesting facts. Museum personnel are available to answer questions. For more information or to schedule a visit, call us or send an email to museum@intel.com. Reservations are based on availability, so please book early. The 49ers Museum provides learning platforms that connect, inspire, and engage students in grades K-8. The museum’s education program uses football as a platform for teaching content-rich lessons in STEAM (Science, Technology, Engineering, Art, and Mathematics), ingraining invaluable life skills, and encouraging physical activity. 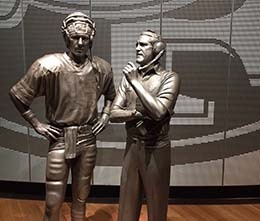 To learn more about STEAM integration and programs, email museum@49ers.com. The NASA Ames Exploration Center showcases the ongoing endeavors of NASA. Rotating exhibits and space artifacts are on display, including a moon rock and other space memorabilia. The Exploration Center is open to groups of all sizes. Open 10:00 a.m. – 4:00 p.m. Wednesday through Friday, and Noon through 4:00 p.m. on Saturday and Sunday. Admission is FREE. For more information, visit www.arc.nasa.gov or call us. The Tech Museum of Innovation engages people of all ages in exploring and experiencing technologies affecting our lives… and to inspire the young to become innovators in the technologies of the future. 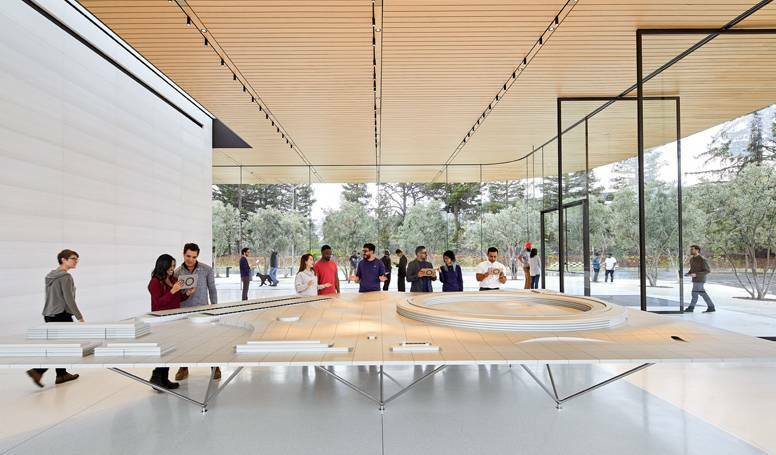 With over 250 interactive exhibits, five permanent exhibit galleries, floor programs, and activities, guest speakers, and an IMAX Dome Theater, groups will get a real taste of the spirit of innovation that Silicon Valley represents. The Tech offers labs for students and special rates for school and other groups of 20 or more with advance reservations. 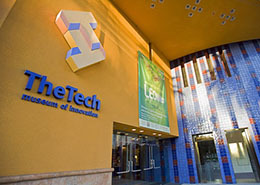 The Tech Museum General Admission+1 IMAX (educational movie) is $29.00. Groups of 10 or more – (reservation required and pre-paid) $19.00 for Museum + IMAX. Mission Santa Clara de Asis is the eighth of 21 California missions. Founded in 1777 by the Franciscans, the Mission was dedicated by Father Junipero Serra. After a tour of the mission, groups can see the surrounding Mission Gardens. The pale yellow barksia rose and purple wisteria date back to the 1800’s, as do the olive trees on the site. Groups can also visit the adjacent de Saisset Museum that includes a California History Collection displaying relics from the early mission days. Roaring Camp Railroads – Music Under the Oaks and in the Redwoods Bands and choirs have the opportunity to perform on one or both of Roaring Camp’s stages. The main stage in an outdoor area seats 2,500 guests and the indoor stage in Bret Harte Hall seats 600 guests. There is a built-in audience and a fun and historical place to perform. Stanford University group tours include the Main Quad, Memorial Church, Engineering Quad, White Plaza, the Stanford Bookstore, and libraries. Groups of nine or more must schedule a private tour by advance reservations. Private tours range from $40.00 – $135.00 per group. Bus tours are also available for groups able to provide their own bus. Subject to availability, tours can be scheduled daily from 9:30 a.m. – 3:45 p.m. (Free campus tours are available twice daily at 11:30 a.m. and 3:30 p.m. for groups less than nine). Winchester Mystery House provides fascinating group tours of the beautiful, but bizarre 160-room Victorian mansion designed and built (1884-1922) by the eccentric heiress to the Winchester rifle fortune. Tours are also available of the Winchester Gardens. When you bring your student group to the Santa Clara area, you will find safe, secure, and student-friendly accommodations. There are numerous lodging properties, all within close proximity of Great America, the Intel Museum, and other attractions. For lodging information, please click on Places to Stay.